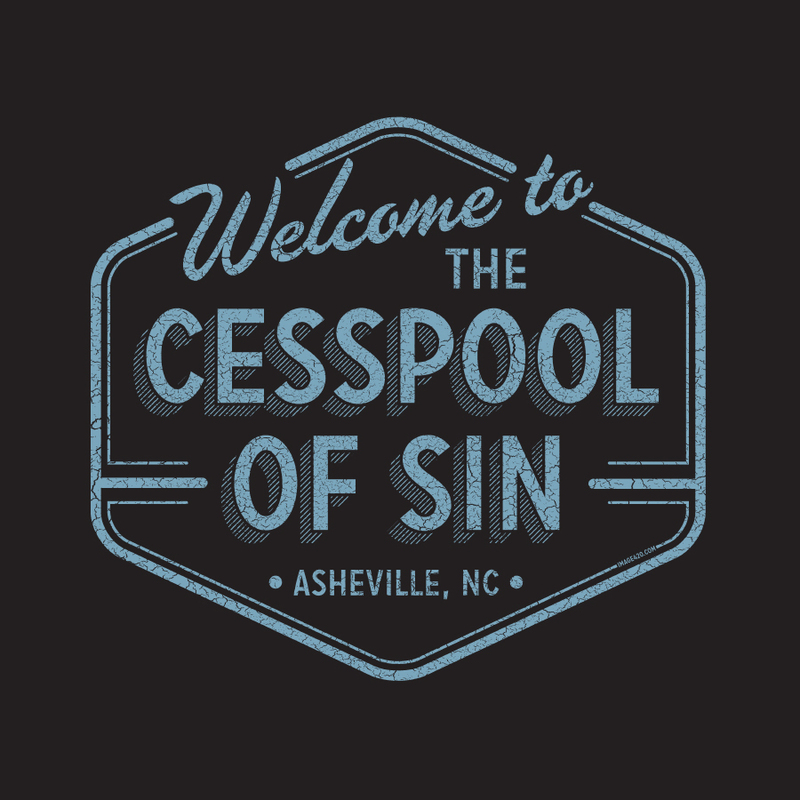 Created in 2011 by Israel Hill, this shirt design turned an offhand comment from a state politician into what is perhaps the unofficial slogan of Asheville. 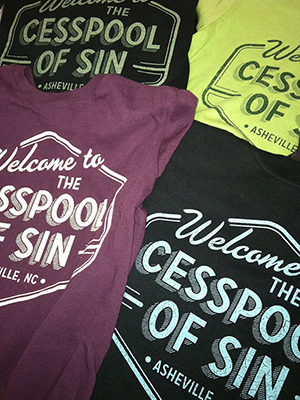 We print the “Cesspool of Sin” on an ever-changing array of shirt colors. 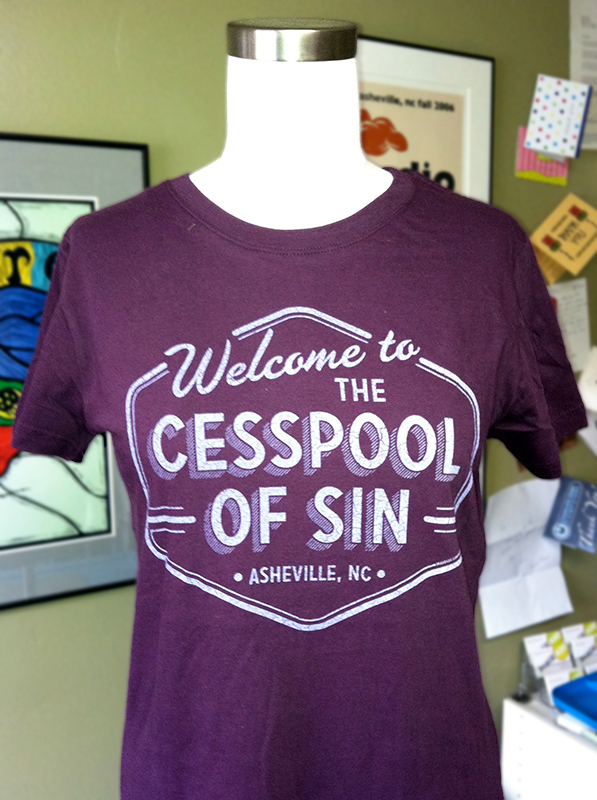 So, understand that when you order, the shirt color that you receive will be a surprise. 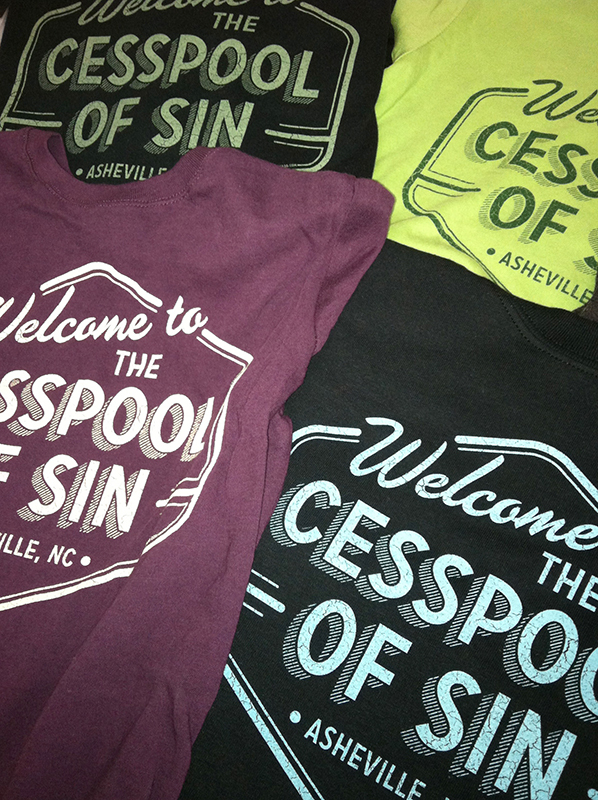 Due to the fact that our current stock is always different, we cannot take orders for specific shirt colors. The only way to get a specific color is to visit our shop in person. But, if you’re feeling adventurous, order away! Shipping is included in the price of the shirts.